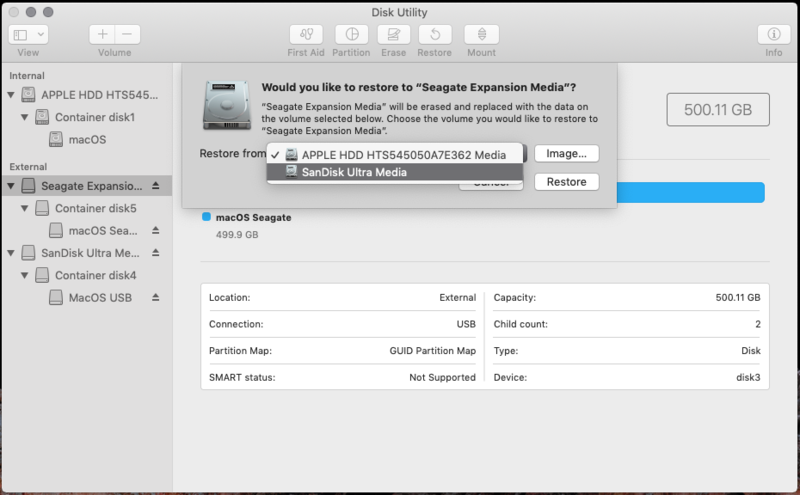 I am trying to restore media from an external drive to another external drive now both the partitions have been formatted with the same partition map GUID partition map (I am also getting an APFS partition message on clicking the partition map option available under disk utility)). 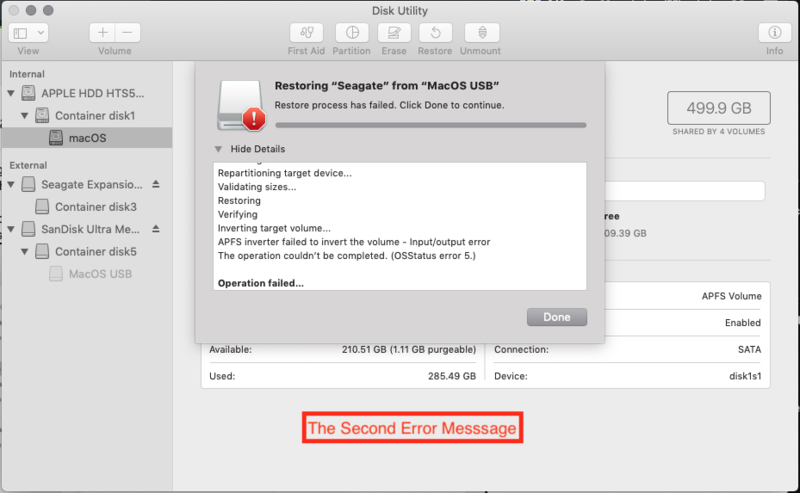 Now whenever I am trying to restore the partitions, I am coming across several errors. This time I selected the volume within the container APFS volume (as the source disk from where the media files are to be restored) which is the Sandisk USB External Drive/MacOS USB. But, again I got the same error. This seems to be a bug with macOS Mojave. Even I tried to do the same. I came across the same errors you are facing. 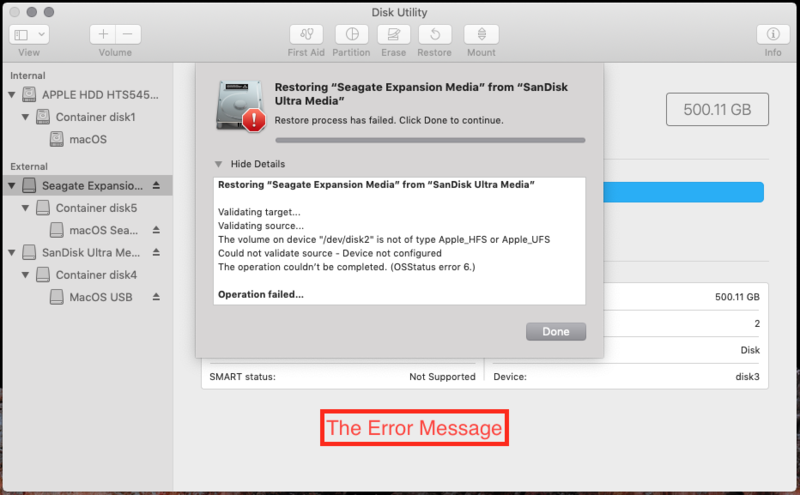 Luckily, I was able to clone the disks which is same as restoring. There are several ways to clone a disk. You can use some utility tools available on and off the macOS App Store. I tried this https://www.shirt-pocket.com/SuperDuper/SuperDuperDescription.html cloning utility to clone my main drive to an external SSD both having the same partition map - APFS. This should solve the problem. Not the answer you're looking for? 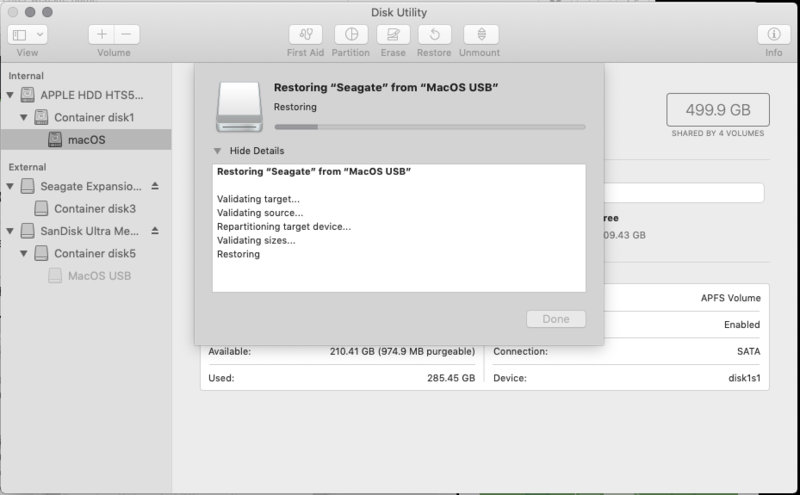 Browse other questions tagged macos mac hard-drive partition restore . What does “EFI system partition couldn't be created” mean? macOS not allowing to change the sequence of partitions from command line!